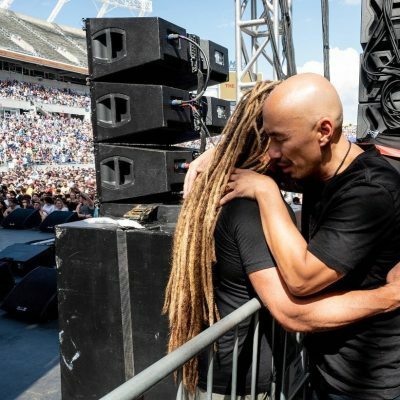 After taking heat for speaking at a stadium event with pastors described as prosperity gospel preachers and “false teachers,” Francis Chan has publicly responded to those concerns and vowed to continue speaking at events that feature people with whom he theologically disagrees. The 51-year-old popular preacher and author who co-founded Cornerstone Community Church in Simi Valley California issued a lengthy statement over the weekend in an attempt to refute any negative “conclusions drawn” from his decision to speak at The Send conference in Orlando in late February. The Send is a stadium conference that has been hosted in cities nationwide since 2011 by The Call, an organization run by charismatic Christian evangelist Lou Engle. At such events, a number of pastors and Christian leaders are invited to come and give a message. With over 60,000 gathered at Camping World Stadium, the 10-hour Feb. 23 event was hosted by Youth With A Mission, Christ for All Nations, and Engle. The lineup included the likes of Chan, Benny Hinn, Todd White, Daniel Kolenda and music from Hillsong Young & Free, Jesus Culture, Tasha Cobbs-Leonard, and Bethel Music. 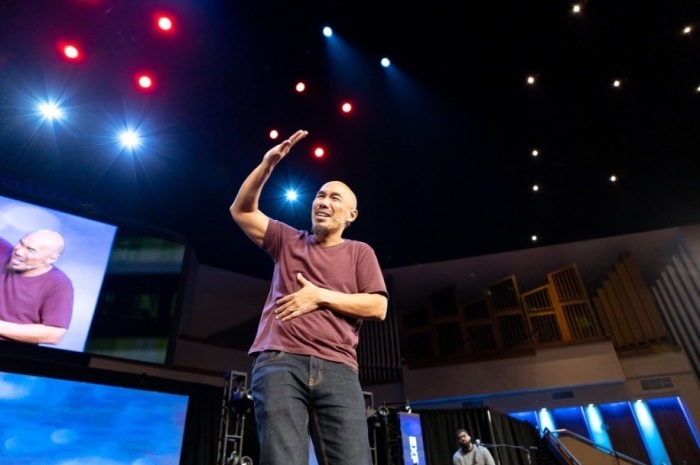 “From what I hear from friends and critics (I stay away from social media, etc), there have been a lot of conclusions drawn from my decision to speak at The Send conference as well as other venues,” Chan, the author of Crazy Love, wrote in the statement. Chan first addressed the question of the prosperity gospel, which refers to teachings that imply that followers of Jesus will be healthy and wealthy. Sometimes, prosperity gospel preaching has been used to encourage Christians to make donations to a certain ministry in exchange for supposed divine blessings in their lives. Chan explained that he once gave a sermon where he showed how suffering is a theme found in every book of the New Testament. Chan, who is invited to speak at over 500 events a year, went on to explain why he sometimes accepts speaking engagements at “places that tolerate theology that is different” from his. According to Chan, he speaks at events almost every week of the year and said that it is part of his calling in this season of his life. Chan plans to work with the elders of his church to come up with more safeguards for future events. Chan stated that while he strives to call out and denounce false preachers, it is hard to collect “accurate data” on their teachings and beliefs. He admitted that in the past he has erred in calling out the false teachings of preachers and pastors.